Typically, when Sony releases themed game hardware, the consoles come out the same day that the games do. 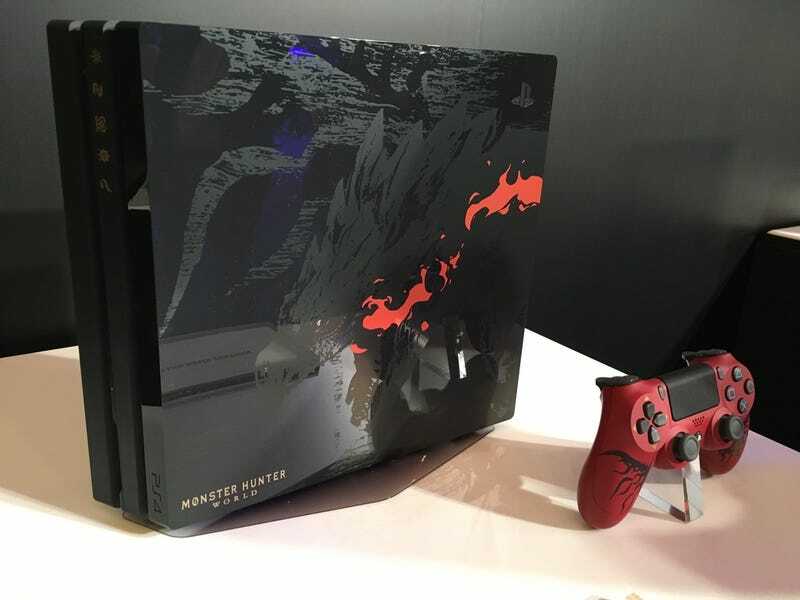 That’s not the case for this Monster Hunter World PlayStation 4. Perhaps that’s because people in Japan are really excited for Monster Hunter World! The PlayStation 4 Pro Monster Hunter World: Liolaeus Edition will be released in Japan on December 7, 2017 for 49,980 yen ($448). This console currently appears to be Japan only. The game, however, will be released worldwide on January 26, 2018.